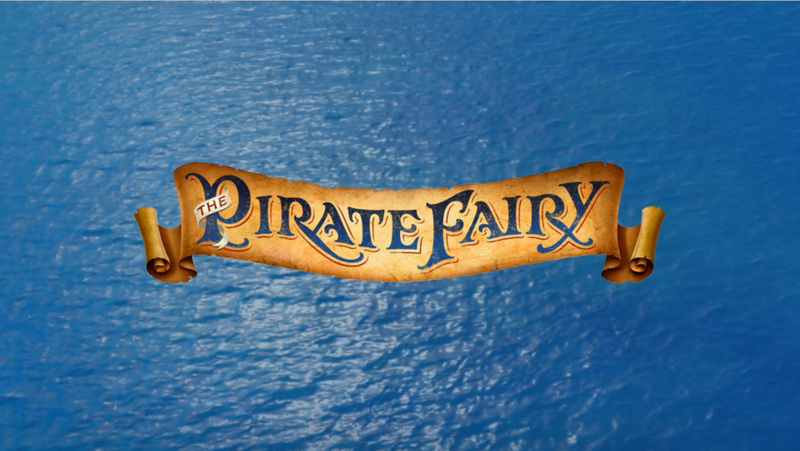 On February 28, 2014, the sixth film in the Tinker Bell franchise, The Pirate Fairy, premiered with a special limited-time engagement at the El Capitan Theater in Hollywood, California. 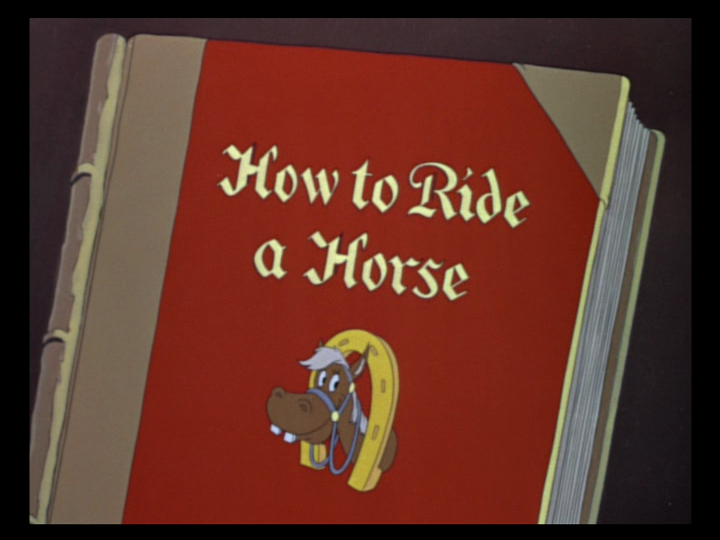 It was later released on Blu-ray and DVD on April 1 of the same year. The film was written by Jeffrey M. Howard and Kate Kondell, and directed by Peggy Holmes. It starred Mae Whitman as Tinker Bell, Christina Hendricks as Zarina, Tom Hiddleston as James Hook, Lucy Liu as Silvermist, Raven-Symone as Iridessa, Megan Hilty as Rosetta, Pamela Adlon as Vidia, and Angela Bartys as Fawn. It’s a busy day in Pixie Hollow, and a fairy named Zarina is walking to her job, making the other fairies think she is out of pixie dust. The other fairies are curious as to how she keeps running low, as she is a dust keeper Fairy. She heads to work wrapping the packages of dust for the other fairies, but the other fairies are confused at Zarina’s questions about how pixie dust works. Zarina is placed on Blue Dust duty, much to the worry of the other fairies, as Zarina has gotten into a bit of trouble with dust before. Once again, Fairy Gary is vexed at how inquisitive Zarina is, comparing her to Tinker Bell. Zarina is curious about creating other colors of dust, but Fairy Gary tells her they can’t tamper with pixie dust, as it’s too powerful. What he doesn’t know, however, is that Zarina is conducting her own pixie duet experiments at her home. She accidentally takes home a speck of blue dust, and uses that to create her experiments again, and finally finds success. She rushes over to Tinker Bell’s house to tell her the news, and takes her back to her lab to show her what she’s found. Tinker Bell is shocked when Zarina is able to create purple pixie dust. Tinker Bell is surprised, but warns her that she seems to be going too fast. Things get worse when Zarina spills her pink pixie dust, creating a giant beanstalk that sweeps through Pixie Hollow. Gary finds the pink pixie dust on the stalk, and knows that Zarina has been experimenting. He then tells her that she’s no longer a dust keeper fairy, as it’s just too dangerous. Dismayed, Zarina packs up her belongings and leaves Pixie Hollow. A year later at the Four Seasons Festival, Tinker Bell and her friends are preparing for their act at the show. The winter fairies begin with a special ice skating routine, and Tinker Bell is excited that Perriwinkle is there. While everyone enjoys the show, a mysterious fairy hides in the shadows, before using pink pixie dust to grow flowers around the edge of the arena. The fairies watch in amazement as the flowers are set off like fireworks, and Rosetta warns her friends to hide, as the flowers Zarina created are poppies, which put all the other fairies to sleep. While the fairies are sleeping, Zarina sneaks into the depot and steals the blue dust. Tinker Bell and her friends are worried about the lack of pixie dust, and they decide to set off after Zarina. As they follow the trail, they are shocked to find that Zarina has ended up with a band of pirates. Thinking she might have been kidnapped, they head over to rescue her; unfortunately, they find that Zarina is actually the Pirate Captain. 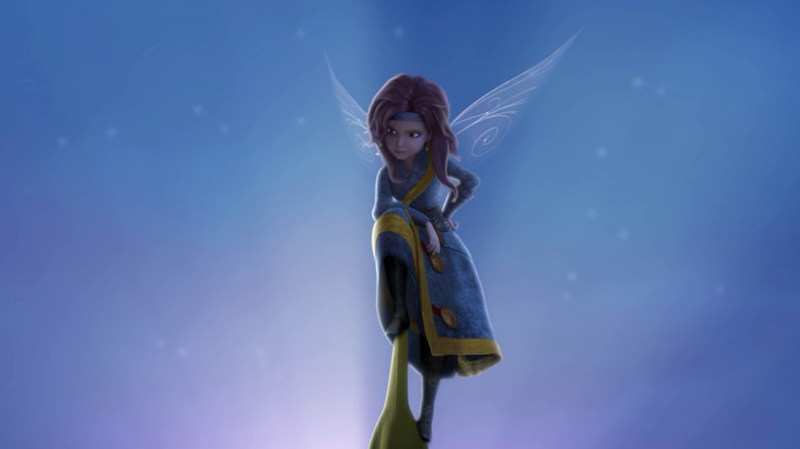 The fairies fight the pirates and retrieve the blue dust from Zarina, but Zarina follows them to get it back. She offers them mercy if they give back the dust, but after they refuse, she throws a multicolored stream of pixie dust at the group, sending them flying to the ground and leaving her the blue dust. The next morning, the fairies wake up to find their clothes multicolored, affected by the dust. They soon realize that they’ve all had their powers switched thanks to the dust, and have a very difficult time adjusting. 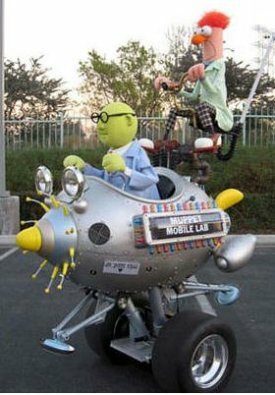 Silvermist, now a fast flying fairy is able to find the ship, and Vidia, now a tinker fairy, creates a ship for the group to sail on with Silvermist pulling the way. The fairies are able to land inside a cannon on the ship, but quickly escape being shot out. They watch as the pirate crew toasts to the captain, thanks to the cabin boy, who can understand her. One year prior, Zarina saved the pirates, becoming their captain and promising that she will make their ship fly. 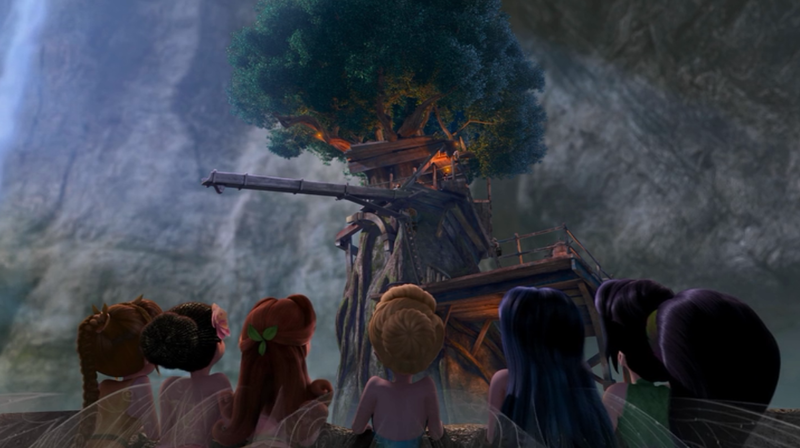 They arrive at their hideout at Skull Rock, and the fairies are terrified, especially when they see that Zarina recreated the Pixie Hollow tree, which will allow her to create pixie dust. As the fairies try to enter Zarina’s cabin when the cabin boy opens the door, only Tink, Silvermist, and Vidia manage to make it inside. The cabin boy helps Zarina in her pixie dust experiments, while the three fairies work on retrieving the dust. Unfortunately, they are unable to retrieve it once again, but do discover her plans of taking it to the tree to create more dust. The fairies head over to the tree, and formulate a plan to get the dust when Zarina leaves. Unfortunately, their plans are interrupted when Iridessa’s new garden fairy powers cause a tree branch to grow right toward Zarina, bringing the fairies with it. She has the fairies captured, and when Tinker Bell tells her to go back home, Zarina refuses to go. The cabin boy tells them that they treasure Zarina’s powers, and the fairies are taken away. Zarina releases the blue dust, and it successfully creates pixie dust. As the cabin boy asks Zarina questions about flying, she decides to teach him, making him able to fly using the pixie dust. Unfortunately, after being given all the secrets, cabin boy James reveals his true colors, and locks Zarina away in a lantern, having no more use for her. It is also revealed that James is the Captain, not the cabin boy. Meanwhile, the fairies are arguing amongst themselves, but are rescued when a baby crocodile that is attached to Rosetta appears and sets them free. Vidia comes up with some camouflage for the group, as they dress up like a pirate and sneak off the ship. They manage to steal back the blue dust, but are caught by James, who threatens to kill Zarina unless they return the dust. The dust is then used to make the ship fly, and the pirates celebrate. As James boards the ship, he throws Zarina into the ocean, but the fairies manage to save her just in time. She tearfully apologizes, but warns them that the pirates are on the way to the Second Star, and the blue dust will be gone forever, and the entire team sets off. The pirates sail off through the clouds, and Zarina orders the fairies to turn the ship around while she gets the blue dust back. A battle ensues between the pirates and the fairies, with Zarina taking on James personally. The fairies manage to use their new gifts to take on the pirates and pull them away from the Second Star. However, James manages to stop them and get the ship back on course, trapping Zarina by a sword and the rest in a bag. Zarina frees herself and manages to take back the dust and turn the ship around once again, sending the pirates falling into the ocean. James manages to save himself using pixie dust, and he and Zarina fight over the blue dust. As it looks like James has won, Zarina manages to get one speck of blue dust, which reacts badly to the dust covering James, sending him flying out of control. The fairies retrieve the dust, and Zarina gives it to Tinker Bell to take back to Pixie Hollow. Tinker Bell tells her that they came to take her home too, and Zarina agrees to head back, using the flying ship. Using Zarina’s pixie dust collections, she manages to wake the fairies, and everyone is amazed to see the ship in the sky. 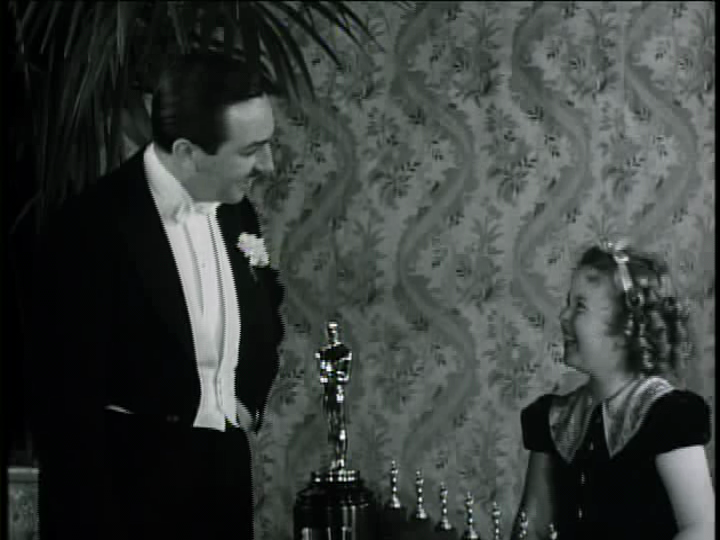 Gary is relieved to see Zarina again, and accepts her skill of pixie dust alchemy. Tinker Bell and the other fairies convince Gary to let Zarina perform her alchemy, which also returns the fairies back to their original skills to put on the best finale ever. Posted in Uncategorized and tagged 2010s, Animated Feature Film, Color, DisneyToon Studios, Tinker Bell. Bookmark the permalink. 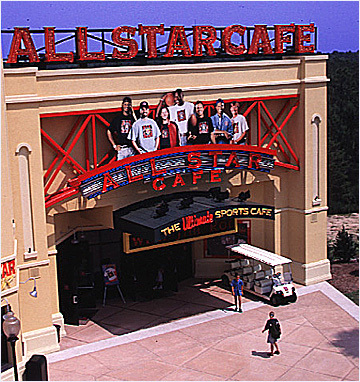 On February 26, 1998, the All Star Café opened at Walt Disney World’s Wide World of Sports Complex, almost a year after the complex opened. It was part of a chain of restaurants developed by Planet Hollywood International and invested in by sports legends, including Andre Agassi, Monica Seles, and Wayne Gretzky. Disney acquired the lease to the Wide World of Sports Complex restaurant in 2000. 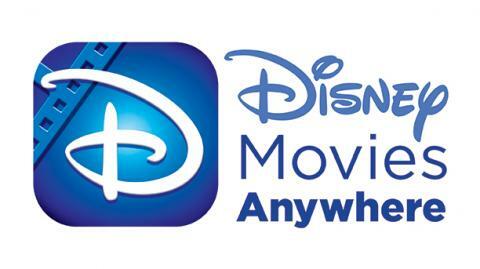 The franchise itself was not successful, and Disney closed the café in September, 2007. In November of that year, it opened again as the What’s Next Café, before becoming the ESPN Wide World of Sports Grill in 2010. Posted in Uncategorized and tagged 1990s, Closed, Disney Park, ESPN, restaurant, Walt Disney World. Bookmark the permalink.